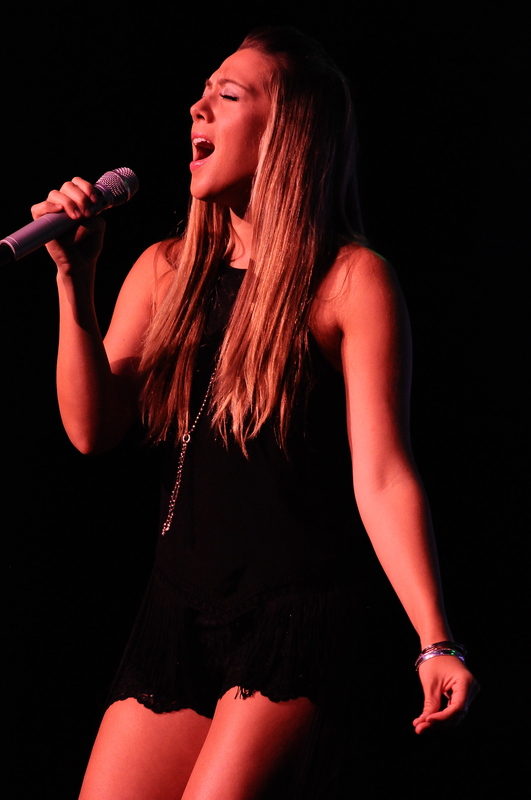 Colbie Caillat brought her Gypsy Heart tour to Seneca Niagara Events Center Saturday night. That’s also the title of her new album, which comes out on September 30. Over the course of 90 minutes, she mixed in songs from the upcoming release with her well-known hits. Caillat arrived on stage to a video of waves crashing on the beach. This set the mood for the night, as her music is generally bright and upbeat. Her whole vibe, including her looks and stage presence, personifies her home state of California. Backed by a strong 5 piece band, Caillat also occasionally played guitar and piano. Throughout the night, Caillat sang along with recorded video for songs she sang with other artists. Jason Mraz “joined” her for “Lucky”, frequent collaborator Jason Reeves on “Droplets” and Common for “Favorite Song” (which I honestly didn’t know was her song). This is happening more often at concerts as it’s tough to replicate these songs without the people who helped make the song successful. For the most part, this worked well. During the new song “Try”, the video (which already has over 22 million views on YouTube) played on the video screens. Its message of being who you are no matter what your age is got a major response from the crowd. Afterwards, Caillat told the story behind the song and the way she was feeling as a woman in the music industry. On her breakthrough hit “Bubbly”, the audience was asked to sing along on the chorus and obliged. “Brighter Than the Sun” closed the show on a high note with most of the crowd dancing. Caillat’s voice is very pleasant and sounded stronger in person than on record. She seemed to genuinely appreciate the fans and their response. Some may dismiss her music as bland, but we have enough negativity in the world. It’s good to have artists like Colbie Caillat to provide a ray of sunshine. Special thanks to Leslie Logan and Tony Astran for their assistance in allowing us to review.